YOUR ONE STOP SHOP FOR EXCLUSIVE MOTIVATED HOME SELLER LEADS. Are you a real estate investor or agent looking for motivated home sellers in your city? We work with thousands of home owners each month who are looking for a solution to sell their homes fast! Lead Geeks can help you grow, make your job easier and add to your profits. We are the fastest growing provider of off market real estate and mobile home seller leads and we pride ourselves in offering top quality leads to real estate agents, investors, and cash buyers. Focus on what you do best and leave the marketing to us! Or in other words… the best motivated home seller leads that investors can find. Make more wholesale deals, find more fix & flips, buy and hold more properties with our exclusive leads! We Integrate With ALL the TOP CRMs! Leadgeeks.com are amazing – It seems I’m throwing away money at my website and other advertising strategies looking for ‘real motivated sellers’! Within a couple weeks I received two leads and already have one under contract! I was able to put the house under contract for under 40 cents on the dollar!! I’m super excited and can’t wait for those texts to come in!!! Thank you to Andrew and Lead Geeks! It’s a great feeling to get immediate results when I invest my money in a new lead source. It also sets a high bar for you 🙂 My first leads were solid and I plan to be a long term customer. The rest is up to me. I will also be happy to refer my friends to your service. I just wanted to let you know how happy we are with the leads we are purchasing from Lead Geeks! We have a higher than normal lead to contract rate, and this is the first company we have purchased from that has a great backend system to keep everything organized, and the billing straight. Lead Geeks is definitely bringing professionalism to an industry that needs it! Leadgeeks has helped our business soar! This is a new age, searching for motivated sellers was the way to do it 5 years ago, now the motivated sellers come to us! Great leads for the well rounded real estate investor! My name is Mark and I am a real estate investor out of New Jersey. I have been using Leadgeeks for about 6 months now, and I am very pleased with the results I have been getting. Any time I have a question I get it answered immediately from my account manager, Andrew Wosmek. I am just about closing the exact percentage of deals Andrew told me I would. I would recommend Leadgeeks to anyone looking to grow their business. I have been a Real estate investor for 11 years and the most time-consuming activity is getting truly motivated buyers. Mailers, bandit signs, and sifting through the “tire kickers” to get those one or two motivated buyers is a large drain of time and money. Lead Geeks allows me time to focus on getting the deals done. With my last lead from Lead Geeks the deal made itself. The Guy texted me his price and, that he wanted to close within 30 days. Within 1 hour the contract was signed and I wholesaled it in three days for a quick 5k. I would recommend lead geeks to anyone from a seasoned investor to someone who is just starting out. I have been using Lead Geeks for about 9 months . WOW what a game changer for my business . The quality of the leads are absolutely amazing . These lead sellers are the real deal. The ROI is unmatched . Customer service is off the chains , I never have any trouble reaching the team at Lead Geeks! If I receive a bad lead , the refund policy is very generous . I have been in the RE business for 22 years and am so glad that my RE coach introduced me to lead geeks, again a true game changer . The additional deals that I have done is amazing. I just wanted to let you know we love LeadGeeks! Since we started working with you guys 5 months ago, we have closed on 4 of the leads, have 2 more closing this Friday, and 2 pending contracts. We have received a total of 23 leads so that means roughly we close 1 of every 3.5 leads we get. As you know our system is a little different since we not only buy houses for cash, but we convert leads into realtor listings for my team as well since my wife is a realtor. Keep them coming! What kind of leads should I expect to get from LeadGeeks? All of our leads are off-market motivated sellers – meaning they are actively looking to sell their home ASAP. Do I pay some type of monthly fee or some type of set up fee? absolutely not, with the leadgeeks platform we only want to get paid for our performance, meaning no setup fee and absolutely no monthly retainer fees. When a form is submitted, how am I going to receive the information? We deliver the hot leads straight to your cell phone (sms) and to your email. I have a few partners and employees - can more than one person receive the lead? Yes – in the setup process we can give you as many admins as you want to receive the texts and emails. How is LeadGeeks different than other lead generation organizations? Most lead generation companies are looking for subscription based monthly fees and they expect a very low attrition rate. Here at LeadGeeks we know how much it costs to acquire new buyers – therefore, we build a win/win situation and are interested in the lifetime value of our relationship. we want you to make lots of money because we know that when you do you will not only love us, but you will tell your whole network of buyers how great we are doing for you! How do you determine the price of the leads for my area? This is the tough part; obviously we need to be able to market to get the leads coming in. WE look at several things, such as average PPC, competitor site rankings, in a nutshell (the cost it is going to take us to get high quality leads to your inbox). The lower the competition the lower the cost per lead. How am I able to choose the area I receive leads in? City, zip, county, state, or radius around a particular area? You can do any of the above – although the larger the area, the more leads you get and the less the determined price will be. Who is the ideal client ( buyer) for these leads? We look for partners that have at least three years experience buying homes and know several ways to monetize the deal: list it on the market, flip it, wholesale it, do a land contract, and dozens more. Some of our buyers even re-sell the leads if the deal does not fit their criteria. The possibilities are endless. Get more information about LeadGeeks and check availability in your area. 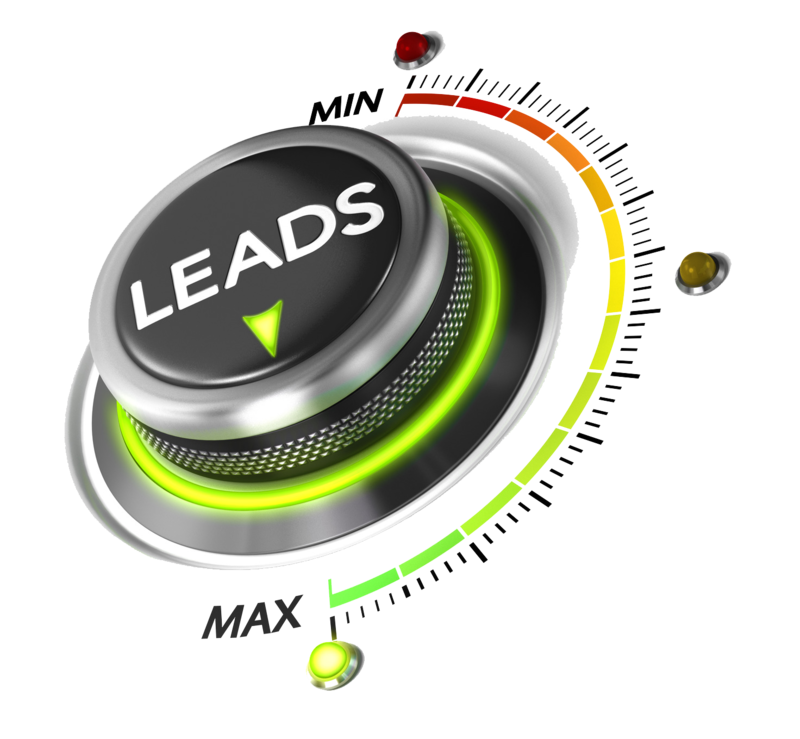 Have Access to extra motivated home seller leads? Check out our affiliate program here. Copyright 2019 | Lead Geeks | All Rights Reserved.